I’ve known about this product for over a year but only ordered it with two clients in mind. Now I’m surprised that so many people aren’t using them. This is the difference in just two weeks. The forearm on Jonathan is now much more beefy on the right. The bicep itself is one quarter of an inch bigger with two half-hour bicep sessions a week. FatGripz have been named ‘Training Tool of the Decade’, probably because it gives your training a whole new dynamic without changing your routine that much. It’s not just about building your forearm muscle and enhancing your grip. The nervous system plays a part by not allowing you to progress in lifting weights until the forearm catches up. 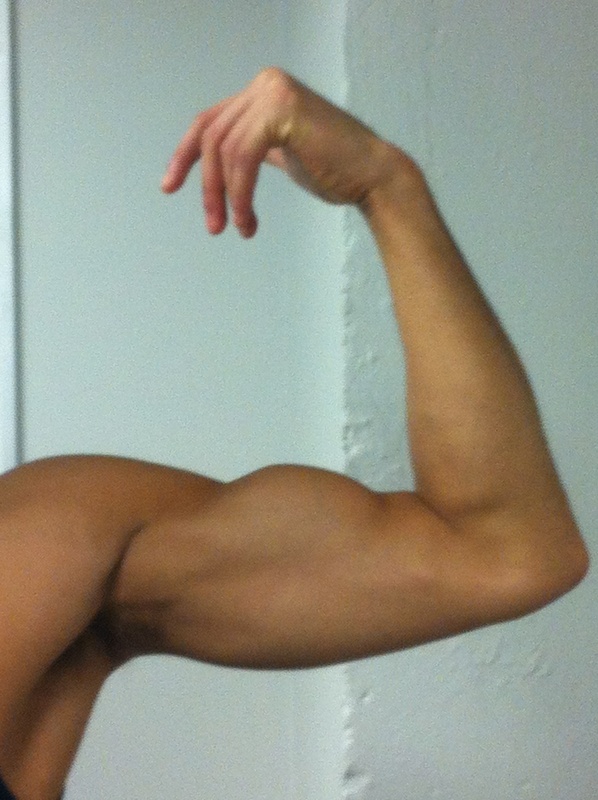 Once you challenge the forearm the rest of the body follows and plateaus are broken. My advice however, is to go back to the basics first and focus on the big lifts, relying predominantly on your chest and back workouts to build your arms. Once you start getting and seeing that shape you crave then start thinking about breaking those plateaus with training tools like FatGripz and supplements like creatine. Secondly, a lot of guys are missing the point on their arm workouts, picking up huge dumbells and relying on momentum to shift the weight. There are no bicep curling competitions, getting big guns is the goal from targetting the biceps so keeping the tension in the bicep throughout the movement will stand a better chance of yielding results. Back to the FatGripz then below are two resources to refer to when looking more into their benefits. And you have a video where Charles Poliquin discusses the product. Get this, he’s even found that thicker implements even correct imbalances between right and left… AMAZING HUH!! !